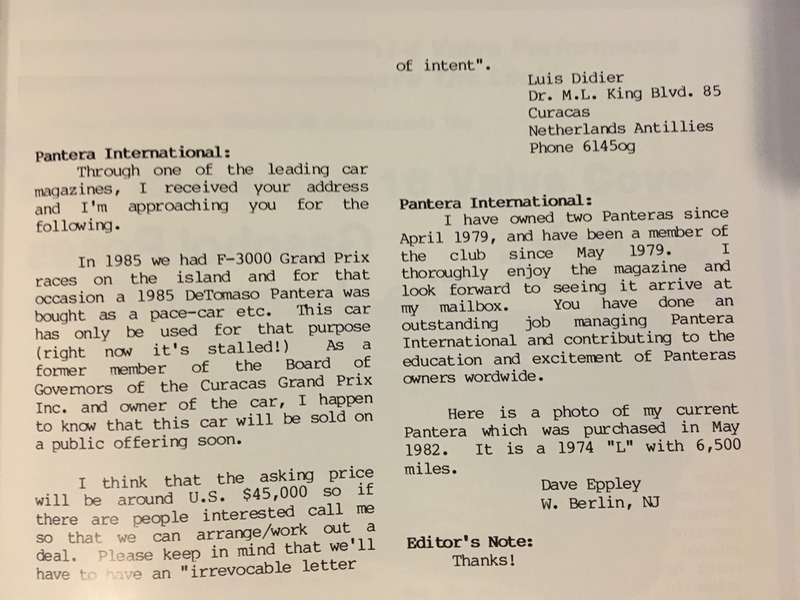 I found this in the Fall 1986 Issue of PI News (Vol. 13, No. 1). Is it real? Did anyone buy the car? It was an open wheel F-3000 race- once a feeder series for F-1 and a replacement that year for F-2. It was reportedly very poorly organized by the SCCA in '85 on a Caribbean island off the coast of Venezuela. It would have been uncharacteristic for them to actually buy a pace car, instead of asking for volunteers. There were several local F-3000 series- Britain, Japan, Italy. After 33 yrs, tracing the 'pace car' at a minor, unsuccessful race never again staged, would take much effort without a serial #. Today, the track is apparently a rarely used drag strip. Very murky history.